We have a small kitchen, but not this small. However, our first year in TO, we lived in a condo that had a kitchen probably about the same size as yours. It was tiny and I cooked a LOT. 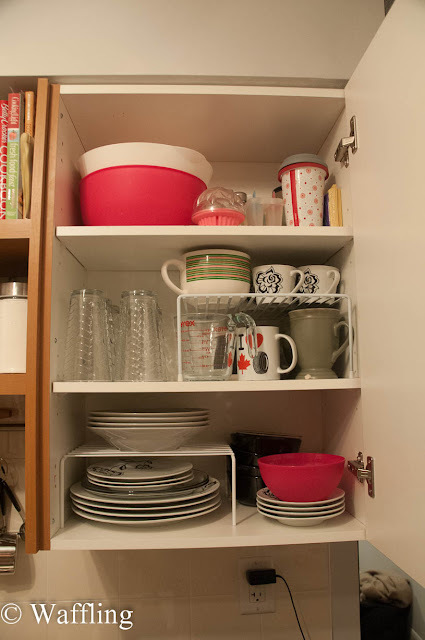 There was one cupboard for dishes and one cupboard for food, just like yours. So, we stole space from the front closet, rigged up some shelves and created a pantry in there. I don't think I'll ever live in a place with such a tiny kitchen again... it just didn't work for me! Ours isn't that much larger now, but we have a huge pantry in the back room and I love it! Ya but i think cooking and buying food for TWO is worse than for one! I also like having a flattop stove because I use it as extra countertop. 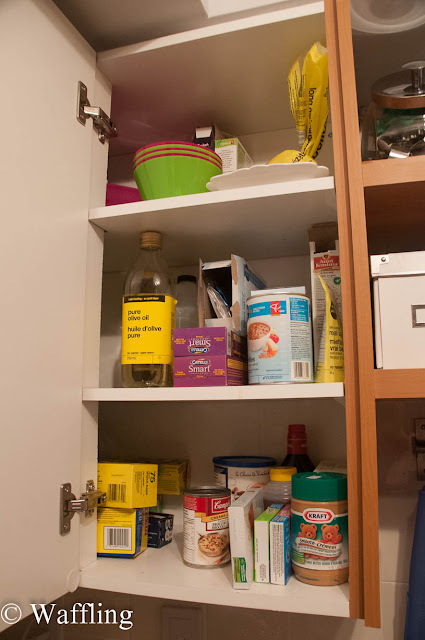 My friend once rented a condo that was huge, but the kitchen only had ONE cupboard. You could only put food OR dishes away. very weird.